Rejection, compromise, and contention – all tirelessly present with the houses of parliament following the recent, further, and seemingly endless disagreements against Theresa May’s numerous proposed deals thus far. The Supply Chain Consulting Group look at the potential impact for logistics and supply chains. As the Chancellor Philip Hammond stepped, after the Governments latest defeat, to try to push forward the notion of a mutually accepted agreement, what realistically does this mean for our borders, and in-turn how does that ultimately affect our supply chains, and the logistics sector overall? As it stands, under UK Law, the recent no-deal vote is not binding – and leaves the UK vulnerable still, to leaving without a deal on 29 March, unless an extension is agreed with the EU. In Lieu of the recent outcome of negotiations, and with a handful of days left of the countdown, how can your business best brace itself against the impact of the UK’s potential European Union Exodus? Aside from the obvious potential issue of no back-stop, and the threat of imposed WTO regulations, not to mention increased trade costs and taxes; many businesses fear being forced to absorb additional trade fees. Leaving many questions unanswered, including what transaction costs will be applied for cross-border movements of goods? And whether post Brexit distribution models will be exposed to paying duties more than once? Many businesses will benefit from researching all potential outcomes, sooner rather than later, preparation for a variety of eventualities is vital. 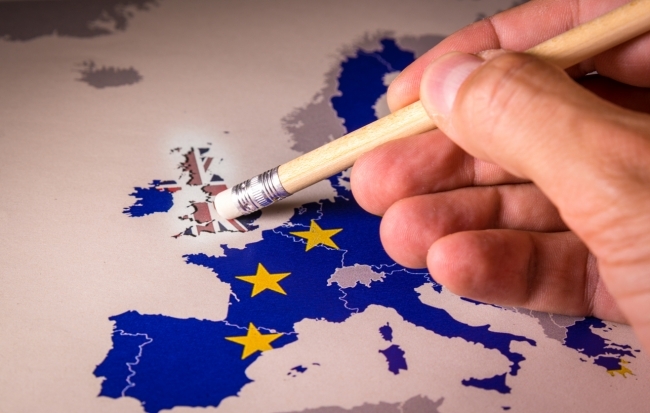 A possible knock-on effect of the UK’s exit from the EU, will be any / all changes to data required to be submitted for import and export declarations to facilitate the physical despatch and receipt of goods. Post- Brexit, the UK may face disruption to the fundamental integration of their supply chain; not only to the supply and flow of products, but also to the network route of previous supply models. Businesses may find that to ensure changes are logged accurately, new networks should be correctly aligned, and subsequently newly optimised routes should be assigned; all to aid business continuity as efficiently as possible. Potential for a higher propensity of bottle-necks and delays within supply chains, is rather an accurate prediction dependent upon the outcome of Brexit, based on the possibility of imposed new customs/trade deals. The true test for businesses will not only be how swiftly, but how accurately they can accommodate new supply chains, and assimilate their business needs, whether it be to source new suppliers based within the UK; or to contemplate new routes and solutions for supply chains for FMCG products, notorious for their delicately short-shelf life, to adhere to required lead times for perishable inventory. With reports from The Bank of England already evidencing stockpiling amongst British businesses; and comments from The UK Warehousing Association – it has been revealed that three-quarters of warehouse owners have reported their space is already close to capacity after a jump of Brexit-related inquiries.